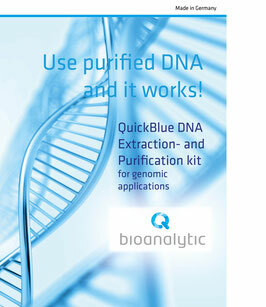 With QuickBlue's Extraction and Purification Kit you always get high DNA yields and highly purified DNA. The kit uses paramagnetic nano-particles for purification. It can help to purify DNA from difficult matrices like food or even blood in soil for applications in forensic sciences. For more information about this product see the specific product page.